For those of you who have been living under a rock lately (most likely hiding from the horrible, horrible rioters if you are in the UK), I recently had a birthday. 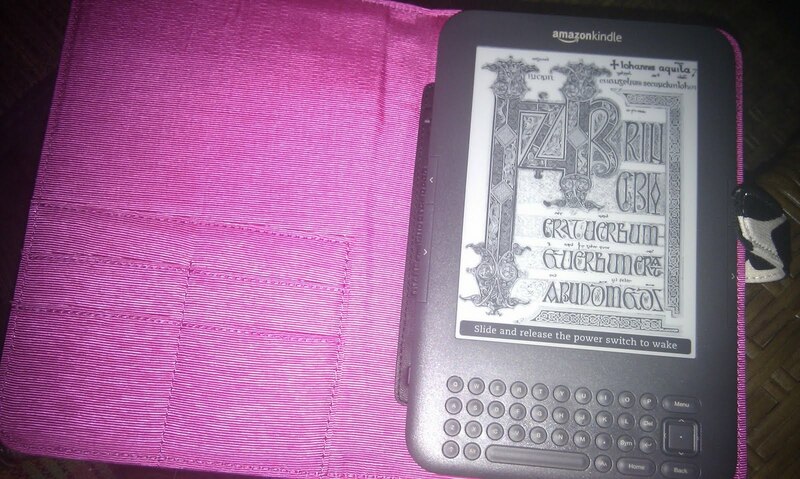 And joy of joys, I got a Kindle. I finally succumbed to Kindle lust somtime in May and so it went on the birthday wishlist in the hope that some vouchers would help me edge a little closer to its purchase. But there was no edging required. On the first of August I opened the box from Mum/Amazon to uncover what might become the best commuting gem ever. So I got on the blower straight away to organise a free wi-fi router from my broadband provider and got a parcel-to-be-signed-for-and-collected card from the postman last Saturday. Thinking I wouldn’t be able to get to the post office before yesterday and would therefore have to be patient (not my strong suit), I was all gee’d up to be waxing lyrical about Audrey today. The customer service person who answered the phone at my broadband provider couldn’t find the file note from my previous call which was supposed to ensure said router was sent to me…taking a deeeeeeeep breath, I managed to order another one (to be despatched to my work address) without reaching through the phone and strangling the person-not-responsible at the other end in disappointment and frustration. So the lovely Audrey is still download-less…and we will all have to be patient just a little while longer. But you gotta admit – in her Diane von Furstenberg cover, she looks mighty good! ps…oh the parcel that I collected? It was a belated birthday present from half-sis, S (she of Fawlty Towers fame) – a fab pair of earrings that I can’t wait to show-off wear – I am a lucky, lucky girl. 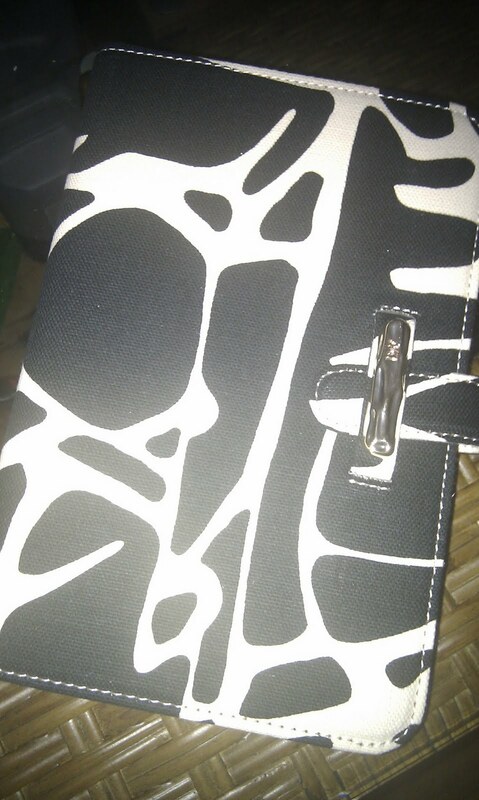 This entry was posted in Commuting Gems and tagged Audrey, Birthday, Kindle by Kym Hamer. Bookmark the permalink. Eeeee! Booking swapping kindle style. Linda, I can't wait! Thanks for the tip Jenny – off to try it now. And thanks for stopping by. I, too, succombed to Kindle lust (thanks in large part to Wordgeyser) and am loving it. A few clicks of the keyboard and voila! A book magically appears on it. It's lightweight and you can read different books if the mood strikes you, without hauling along a bundle of books. I'm also finding it great for taking notes as I do research for my book. I'm also told you can lend books to another Kindle for two weeks – it automatically returns the book to your Kindle, even if the person isn't finished reading it. So when you get yours and are finished with all your 'must reads,' you might find I have a title or two that you'd like to borrow. So cool! I love that cover! Makes me wonder why on earth I picked a plain black one. While you're waiting you can always download books onto your computer and transfer them to your kindle via USB. Happy reading to you!